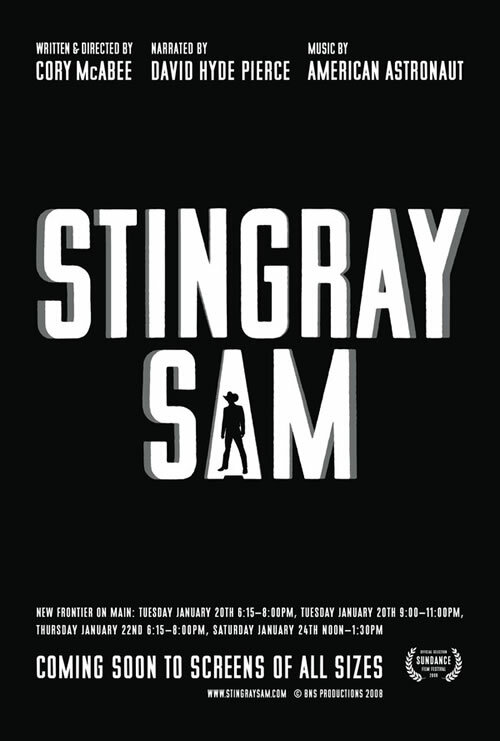 Stingray Sam (2010) This space opera/western/musical hybrid springs from the mind of writer/director Cory McAbee (who also appears as the titular character). It’s not a feature film in the strictest sense – comprised of a string of episodes which harken back to serials of the 30s and 40s, albeit with a postmodern spin. Each episode (accompanied by a different song) chronicles the adventures of Stingray Sam (sort of a mash-up between Roy Rogers and Flash Gordon) as he traverses the cosmos with his capricious buddy, The Quasar Kid (Crugie – yep, just Crugie) on a quest to rescue a girl. It doesn’t make a whole lot of sense, but that’s not really the point. It’s best to just roll with it, and take in the sights and sounds, accompanied by David Hyde Pierce’s wry narration. There’s nothing else like it, except maybe McAbee’s similarly themed The American Astronaut. Stingray Sam is a bewildering, but oddly captivating cinematic fever dream that’s worth seeking out. The Asphyx (1973) This unique little British horror flick feels a bit like a Hammer film, although Peter Cushing and Christopher Lee are conspicuously absent. Robert Stephens (in a role that would have been perfect for Mr. Cushing) stars as Sir Hugo Cunningham, a man who finds a potential path to immortality by developing a means to capture the spirit (an asphyx) that appears at the moment of death. His efforts to cheat death predictably backfire, with disastrous results. While The Asphyx suffers from stagey set design and Stephens’ over-the-top acting, it’s still fun to watch, thanks to a novel premise, along with interesting asphyx effects, which remind me of Ghostbusters. Check it out. Rating: ***. Available on Blu-ray, DVD and Netflix Streaming. Burke and Hare (2010) Right director, right cast, but wrong direction. Director John Landis’ Burke and Hare is well-made but unsatisfying. While I can’t completely dismiss the film, I can’t help but feel Landis missed the perfect opportunity to create a much better movie. The story about two notorious grave robbers turned murderers (played by Simon Pegg and Andy Serkis) needed to go much darker or much lighter, but ends up somewhere in the middle. Instead of capitalizing on the more horrific aspects of Burke and Hare’s misdeeds, the film practically paints them as misunderstood folk heroes. They’re far too sympathetic to be villains, and the comedic elements are far too broad. What results is a big disappointment. Sadly, this limp effort doesn’t herald John Landis’ much-deserved comeback. Rating: **½. Available on DVD. Zombie Lake (aka: Le Lac des Morts Vivants) (1981) Depending on your point of view, the prolific director Jean Rollin is an acquired taste or a certifiable hack. 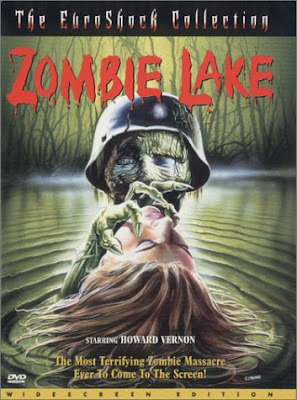 Based on Zombie Lake, which features Nazi zombies rising from the dead, it’s easier to state a case for the latter assertion. The only conclusion one can make after watching this film is that Rollin was more interested in depicting nubile young women than prompting terror in his audience. For starters, he apparently didn’t know the basic rules about zombies and their lust for human brains and entrails. Instead, the film’s zombies have a vampire-like thirst for blood (unsurprising, considering Rollin’s fondness for vampires in earlier film efforts). Zombie Lake features some of the worst zombie makeup ever committed to celluloid, and the underwater shots were obviously done in a pool. The film sinks to new levels of ineptitude in a “tender” scene between a young girl and her deceased Nazi father, which might only serve to induce uncontrollable fits of laughter. You have been warned. Cinematic Dregs: Super Mario Bros.